Banking on years of understanding of this domain, we provide patrons with the superior quality of Siemens 300. 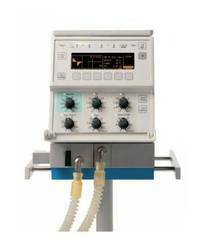 Used for lung ventilation for adult, pediatric and neonatal patients, the Siemens300 ventilator render multiple ventilation modes. Easy to operate, the Siemens 300 ventilators are equipped with O2 air gas module that systematically filters bacteria. Owing to our experience of this domain, we provide the finest quality of Air Compressor. Ideal air source for various kinds of ventilators, the air compressor is equipped with visual alarm and audible alarm. Used for delivery of clean and dry compressed air in the ventilators, the air compressor is known for dehydration design. deliveryof clean and dry compressed air. Our compressors are compatible with all the Ventilators ( with external Air Source) and are very inexpensive. Our compressors have been running successfully with all the leading brands of Ventilators like Macquet, Drager, Covedian, Viasys, Siemens, Bird, Purittan Bennett, Takaoka, SLE etc. Sensitive synchronization with gentle but precise support for spontaneous breathing reduces the work of breathing and makes the ventilation process much more comfortable for patients. 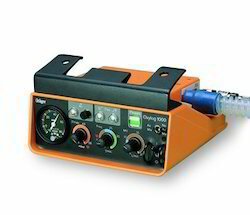 The Oxylog® 1000 offers first aid ventilation of patients in emergency situations. Designed to be used outdoors, its intuitive operation, robustness and transportability make the Drager Oxylog 1000 complete in its class. The ventilator has integrated audible and visual alarms that monitor both the airway pressure and supply pressure to aid in patient safety. All functions are pneumatically operated, so the ventilator does not depend on any electrical power source. Thanks to its fundamental design, the Oxylog 1000 also stands for great reliability, ready to meet rough conditions during your mission. of patients who require a minute volume of at least 3 L/min. Our durable LP Series of portble volume ventilator have a repurarion for dependability. They are built with a patented brushes motor. Matching up the ever-changing needs of the patrons, we provide patrons with the superior quality of LTV 900. Precisely designed for rendering patients with optimum comfort and care, the LTV-900 ventilator is known for its adjustable flow triggering and pressure support modes. 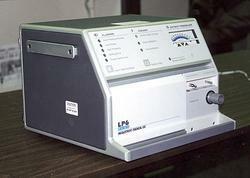 Due to its intuitive interface, the LTV ventilator is easy to operate and understand. The modular design of SERVO-i, together with its simplified cleaning and maintenance procedures and easy upgradeability, ensure that you have a system that is right for your needs, both today and in the future. Treat all patients from a single system: SERVO-i Adult can be upgraded to Universal doing away with the need for different ventilators by patient type. Key parameters in SERVO-i design include the need to provide greater flexibility in patient treatment in order to speed the weaning process, and streamlined operating costs. 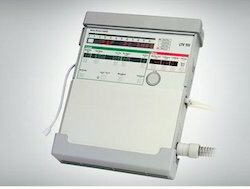 The Puritan Bennett Puritan Bennett 7200 Series Ventilator respiratory ventilator has an advanced micro-processor design that offers CMV, assist/control, SIMV, CPAP, PEEP and sigh controls. 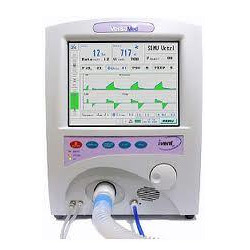 This critical care ventilator has a built-in nebulizer, air/ oxygen blender and variable pressure waveforms. Data is clear on the digital display and easy to input with the keyboard control. The Puritan Bennett 7200 and 7200AE are available refurbished from DRE. 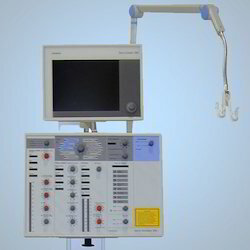 The Siemens 300A Ventilators Control Unit, Patient Unit. 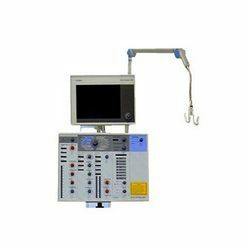 Siemens 900C Ventilator (RefurbIshed) VentilatorWe offer The Siemens 900C is a Servo respiratory ventilator available in refurbished form. These ventilator are applicable for adult, pediatric and infant use. These devices have built-in electronic peep and comes with eight different ventilation modes and can be used in intensive care situations, anesthesia and transport. Weight: 19kg (42lbs) without accessories. Electronic gas supply unit, inlet pressure: 2.5-5 bar (250-500 kPa, 35-70 psi). Other gas supply inlet pressure: 2.5-7 bar (250-700 kpa, 35-100 psi). Gas supply via low pressure inlet: Vial flow meters. 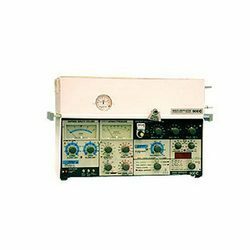 Power supply: (100), 110, 120, 220, 240, 50 or 60 hz. Power consumption: Approximately 40 W.
Our durable LP10 Ventilator Series™ of portable volume ventilators have a reputation for dependability. They are built with a patented brushless motor, which translates to lower cost of ownership. Its standard features and portability give the LP10 ventilator the flexibility to meet a broad range of pediatric and adult ventilation requirements. 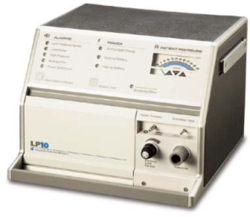 The LP10 ventilator has a pressure control cycle for pressure-limited, time-cycled ventilation. Decreased internal resistance reduces breathing effort in SIMV mode. With the LP10 ventilator, expanded alarms provide reliable patient management. 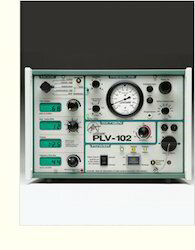 This lightweight PLV-102 is well suited for transport and portable applications. Controlled by a microprocessor, the piston-driven PLV-102 delivers volume ventilation in a range of settings. With features that include three power source options, it is ideal for use in the sub-acute care, nursing home, or home settings. We offer various types of Transport Ventilator, which are designed to mechanically move breatheable air into and out of the lungs, to provide respiration for a patient who is physically unable to breathe or breathing insufficiently. 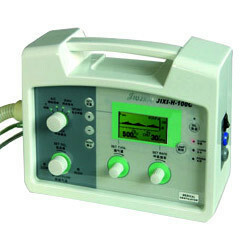 These devices are widely used in intensive care medicine, home care, and emergency medicine and in anesthesia. 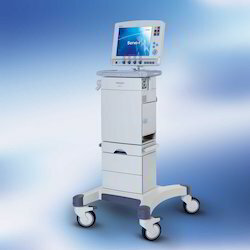 The ventilators we offer are of the brand name Siemens, which are discussed as followsTransport Ventilator We offer transport ventilator of the model JiXi-H-100C, which is unique ventilator designed for intensive care, anesthesia and patient transportation, for infants through adults. 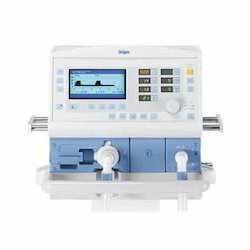 It is an advanced electronic ventilator capable of treating the neonate as well as the adult patient. Insp. flow Constant or accelerating. Counted as first among the best, we provide patrons with the superior quality of Versamed I-Vent 201. The Versamed I-vent 201 is electrically operated and is appreciated for its multiple ventilation modes. Due to its closed loop flow and pressure controller, the Versamed I-vent 201 is highly demanded in medical colleges and hospitals. Synchronized Nebulizer : 10-240 Minutes.